LIVING THE DREAM in this dramatic Log Home overlooking 779 acres of rolling hills, trees, and surrounding countryside. 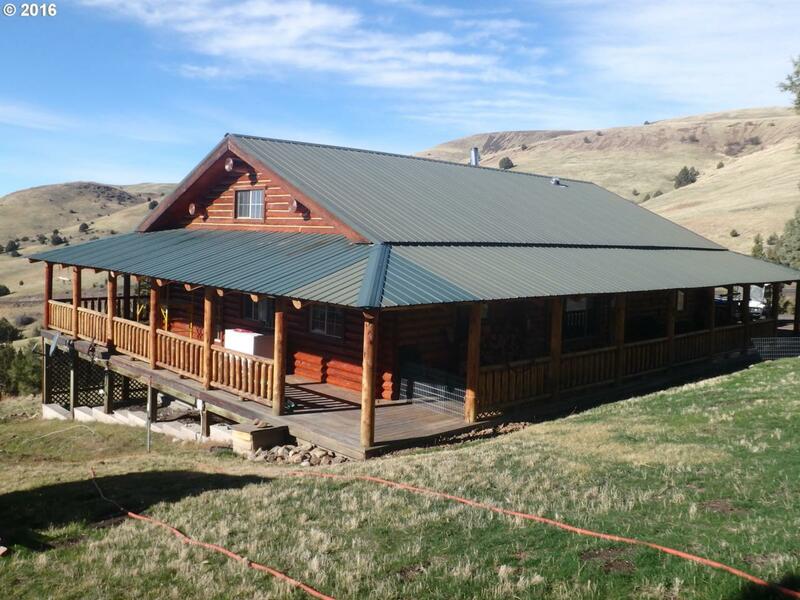 Only 14 miles from the John Day River and 6 miles from Fossil. The great room has a large timber interior, wood stove, propane fireplace, and a loft. Large covered wraparound porch. 4 springs for the house, livestock, or wildlife. Four bay barn/shop, corrals, hay storage. Two LOP tags for hunting. Listing provided courtesy of Joy Andersen Realty.